Welcome to Albania! Your driver will meet you from your flight and transfer you to the city center. Depending on arrival time, settle into your hotel or go for a short walking tour of the city. In the evening, enjoy dinner at a restaurant downtown. 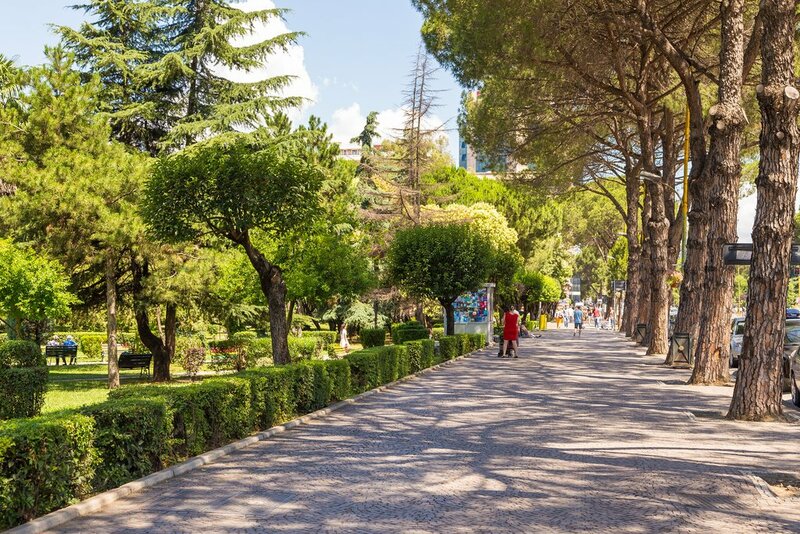 Today you will explore Tirana's downtown area and a village just outside of town. Head out to see the city's sights and landmarks, or choose to head directly to the traditional village located just a few kilometers away. 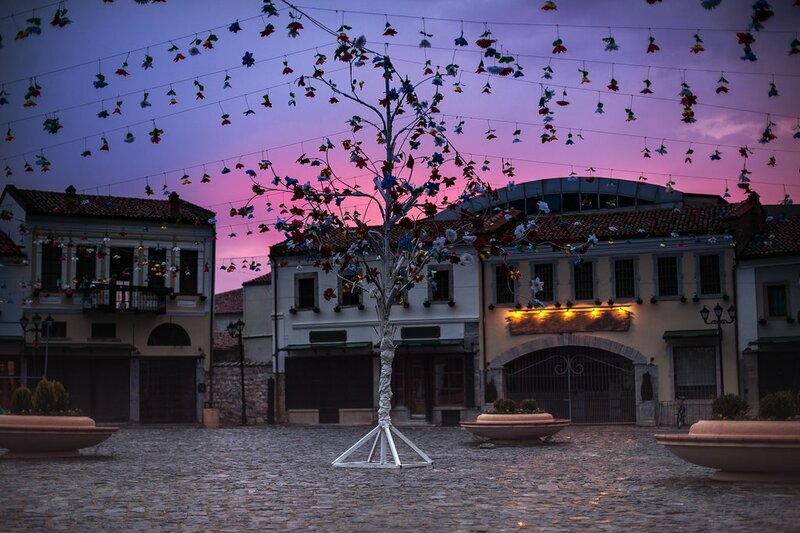 The village is more traditional and maintains many older cultural norms as compared to populous Tirana. 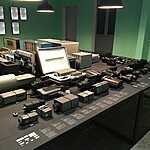 Stop and visit the studio of acclaimed Socialist Realist artist Robert Permeti who is famous for his work from the Communist era. Along with seeing Robert's work, learn about the difficulties and potentially fatal dangers of producing art for Enver Hoxha. 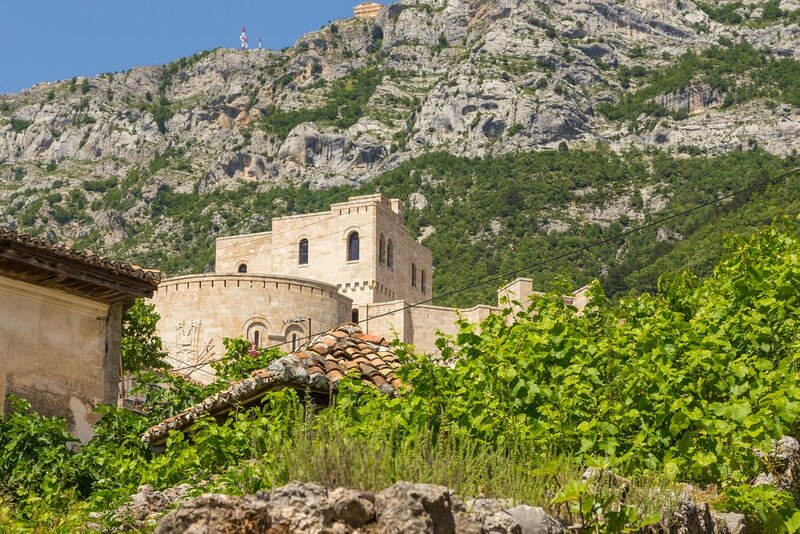 Head north today to the ancient hilltop city of Kruja to see the town and historic castle. Tour the museum inside, then stop by the Mrizi i Zanave restaurant for a traditional Albanian meal. Expect to learn about old recipes and regional cooking techniques—Altin, the owner, is passionate about preserving the local food heritage. 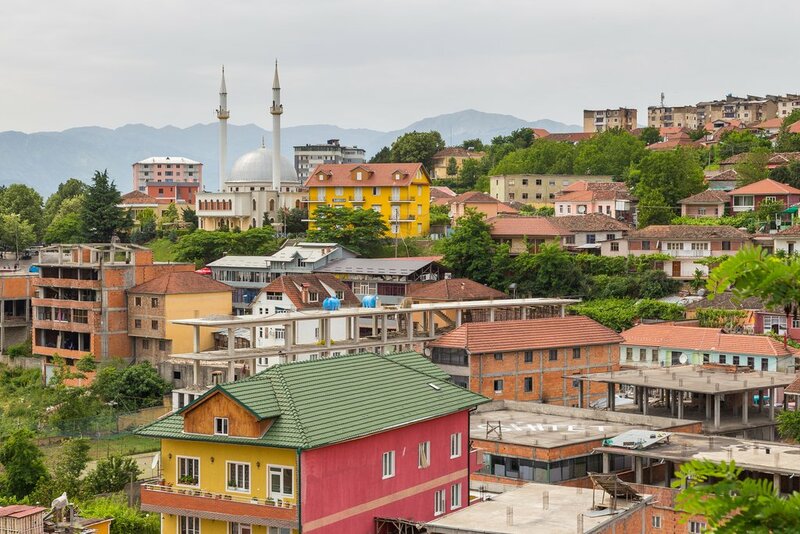 Today you'll take a detour to neighboring Kosovo, a region with a majority Albanian population. Catch the ferry from Koman, and arrive at Fierze after a spectacular 3-hour crossing of Komani Lake. 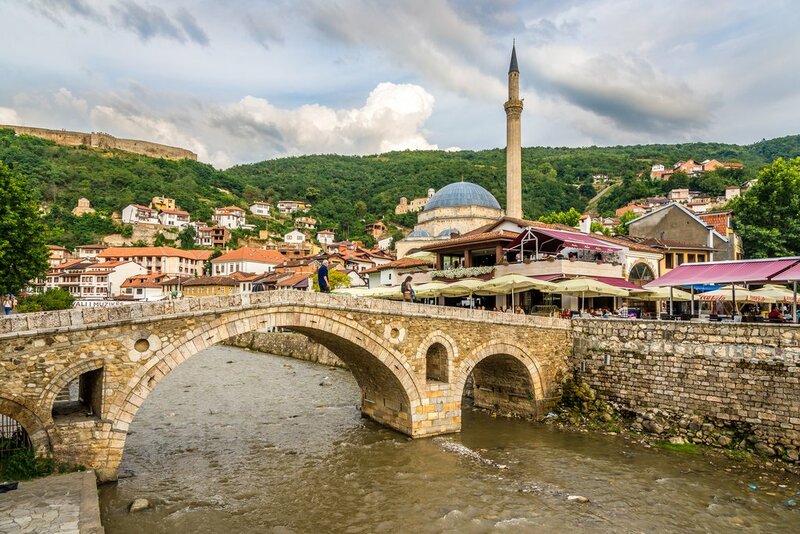 From here cross the border into Kosovo and head to the old Ottoman city of Prizren, with a mandatory stop for coffee and baked goods at Gjakova's historic bazaar. 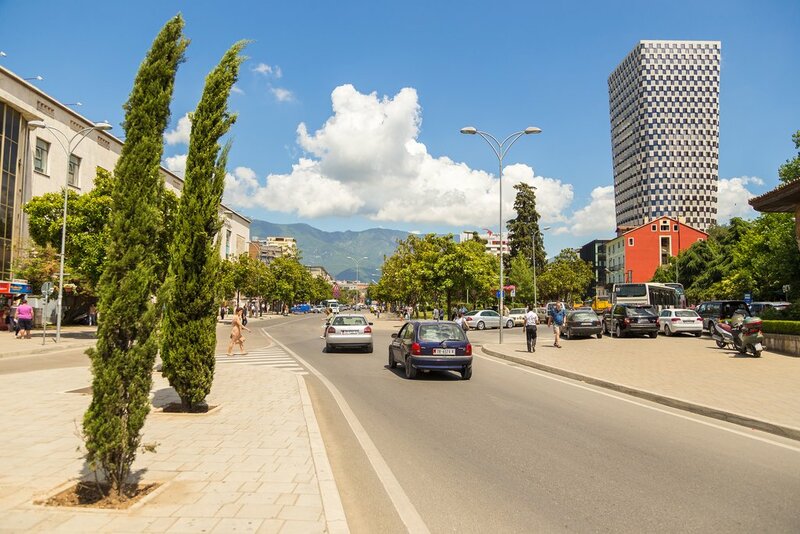 Head to the town of Peshkopi today, a regional capital of the Dibër region. 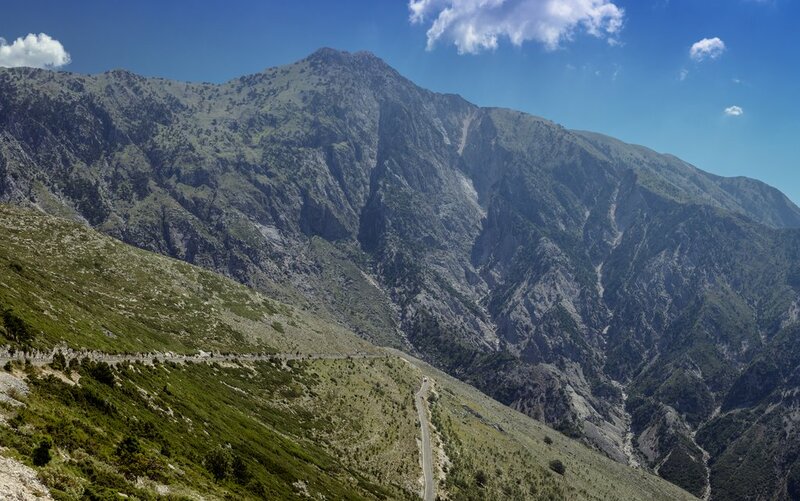 Although this is one of the poorest and most isolated parts of Albania, it is also one of the most beautiful—steep mountains and infrequent roads separate this region from the rest of the country. You will be staying at the old Communist Albturizm hotel, which has hardly changed since the fall of the regime. Despite the old-fashioned appearance, the rooms are clean and the staff is very welcoming. 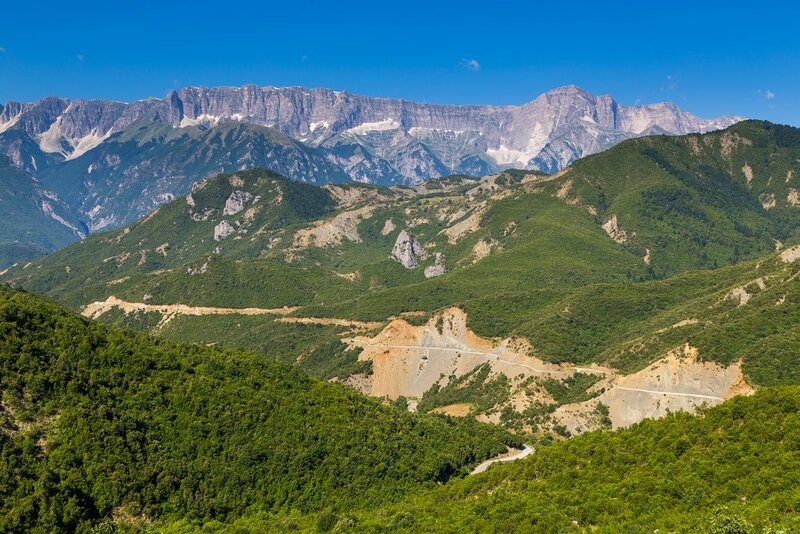 It's not far to the village of Bulqize, but you will take a scenic detour through the local Dibër and Mat mountains. Arrive in time for dinner and head to your accomodations—a traditional stone Kulla house, originally built for defense 250 years ago. The young owner, Luli, inherited the family property and has been working hard to restore the building and increase tourism in the area. Currently, the village receives almost no foreign visitors, despite the region's stunning views. 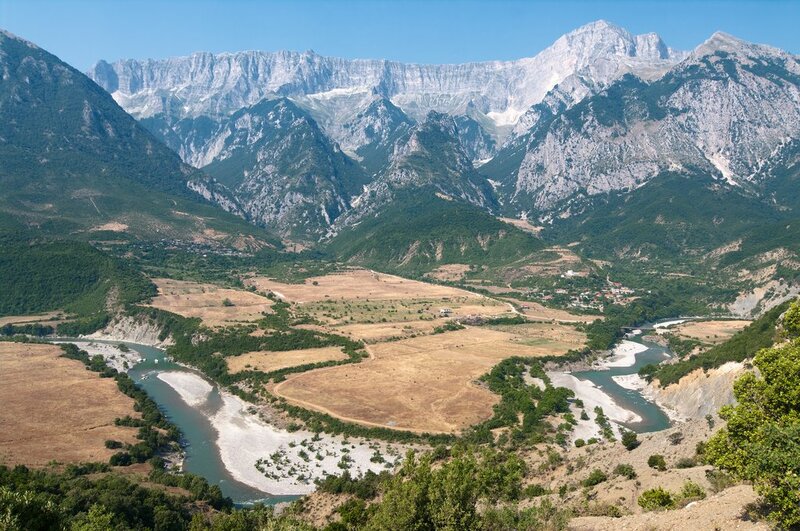 Today you will leave the steep mountains of northern Albania and head to the more populous southern half of the country. Take a road which skirts the Shebenik-Jabllanice National Park, a wild and unique ecosystem which has been declared a UNESCO heritage zone. You are heading to the village of Lin, on the Albanian side of Lake Ohrid. Tonight you will stay in a homestay with Roza and her family. 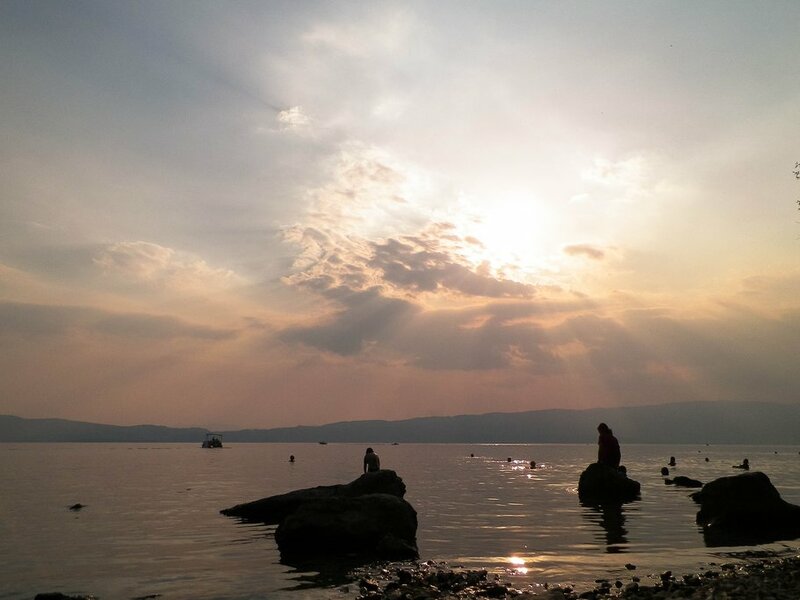 If the weather is fine, head to the lake for a swim after the long journey. Today is a day for relaxation and rest. Pack a picnic lunch for the beach and enjoy swimming in the lake. 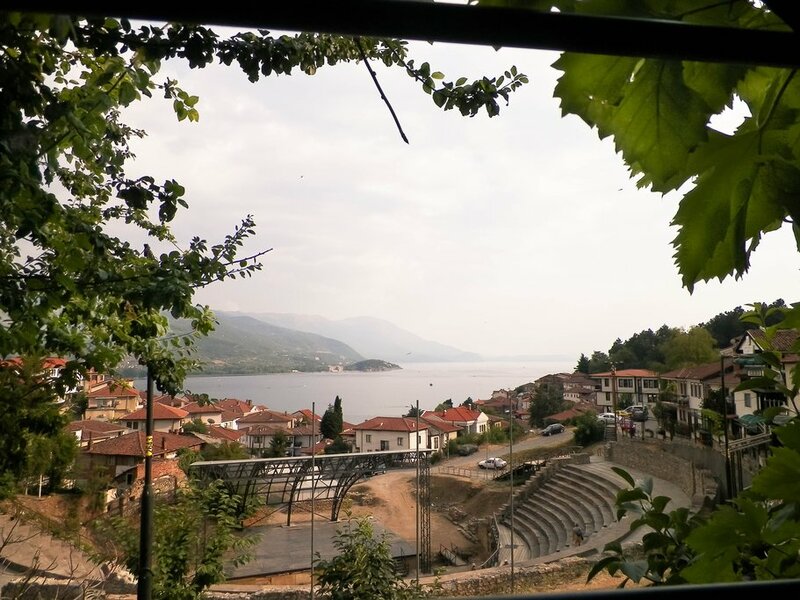 If you would like, take a day trip across the Macedonia border to Ohrid—a bustling resort town. The drive to Korça only takes an hour, but you will take scenic long way to see more of the surrounding countryside. 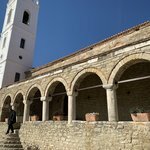 Korça is a small city with a distinctly Mediterranean feel—cobbled streets, crumbling villas, and a relaxed atmosphere might remind you of Greece. In the evening head to the recently restored bazaar in the city center for a drink to relax like the locals. You will have traveled through Albania's finest scenery in the last week, but today's drive to the southwest is particularly lovely. Although the distance to travel to Përmet isn't far, it's a slow drive since the road is winding and the valley views offer numerous photo opportunities. 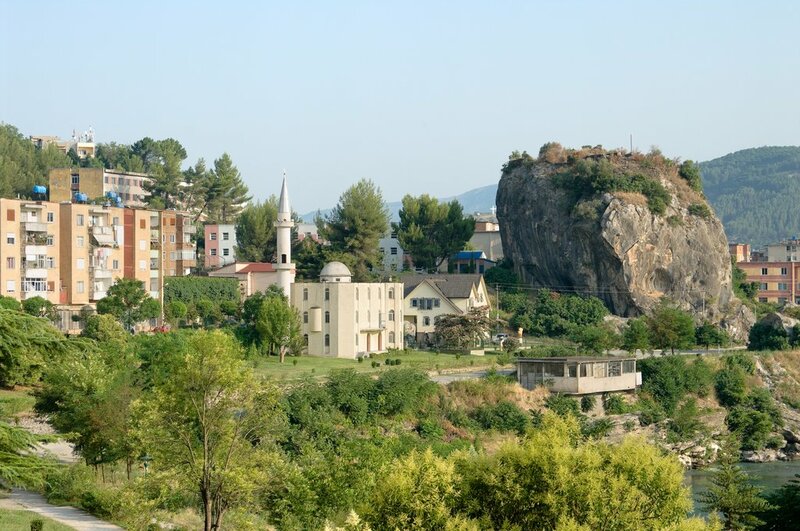 Before arriving, take a detour to the hot springs in nearby Benjë. Arrive in the sleepy town for dinner and a relaxed evening, as the food and raki—a strong local spirit—are excellent here. You'll spend today driving through the Zagoria valley again on your way to your homestay in Libohovë. There's a lot to see on the way, so expect another slow day of driving with many stops. Your hosts tonight are a couple with a spare en-suite bedroom and a warm and welcoming home. Don't worry about the language barrier—with the help of your guide and a glass of raki or two, you are well on your way to making new friends. History buffs will love visiting the UNESCO site of Butrint today, an old village and archaeological ruins. Continue to the city of Gjirokastra after—another UNESCO site. Stay the night in one of the city's traditional stone houses. The owner, Dragua, worked hard to acquire it for tourism—at one time gather more than 40 cousins in one room to sign the paperwork! Today is arguably the most beautiful drive of the trip, and it's up against stiff competition. Travel on a remote track through the mountains west of the Riviera to reach the Ionian Sea around 3:00 PM. The road is rarely traveled, so expect some bumps and few river crossings on the way. Stay the night in a small coastal village, in a lodging located directly on the water. 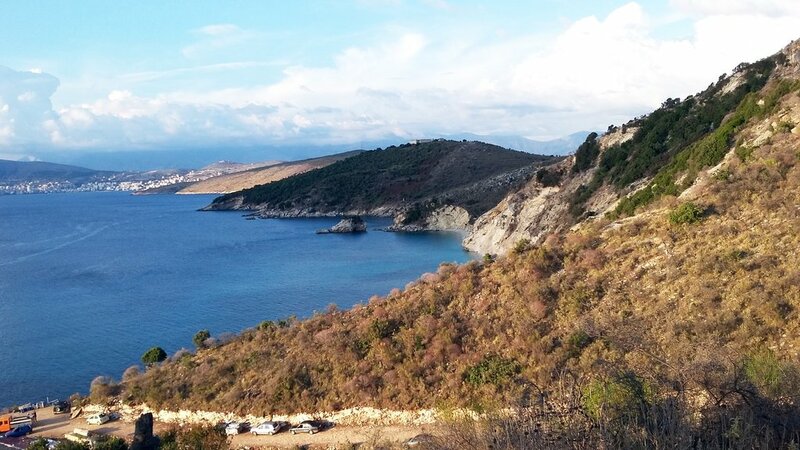 Start the day with a climb up the impressive Llogora Pass, then descend into the city of Vlorë. 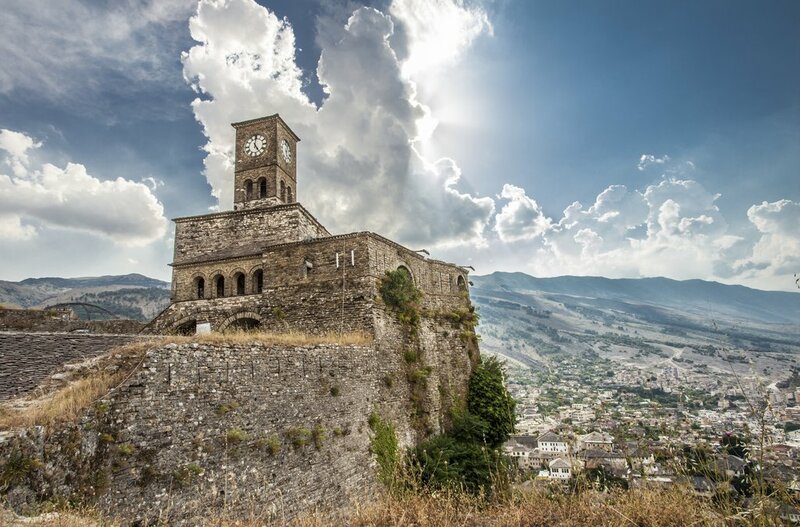 From here it's an easy drive back inland to your final stop at the city of Berat, another UNESCO city. Stay the night in an eccentric little hotel in the old town district. To celebrate your last night, head to Koço’s, an infamous restaurant in the ancient citadel, for a celebratory meal and drinks. From your lodging, it's an easy 2-hour drive to the airport. 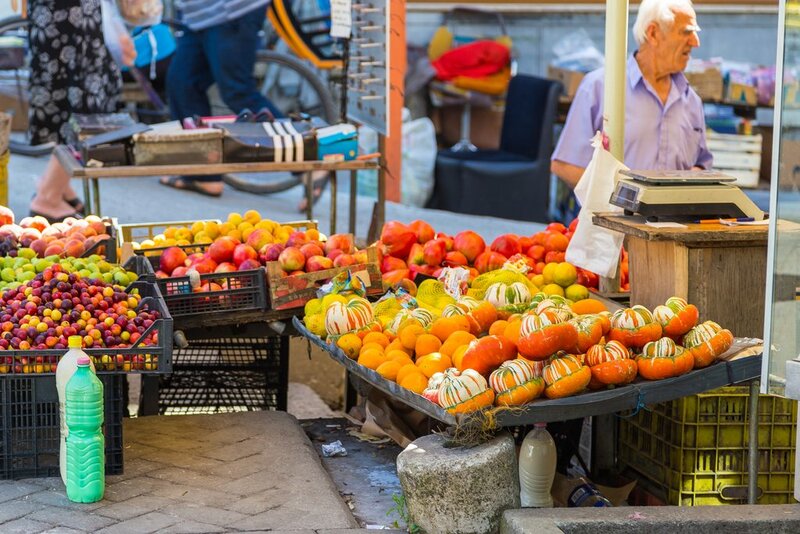 Say farewell to Albania and board your flight home. Safe travels!